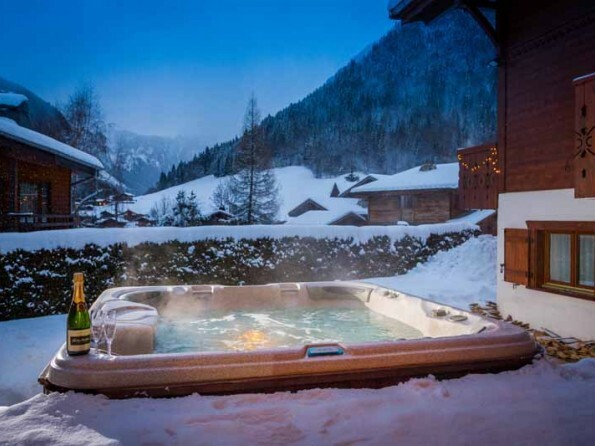 Spacious, luxurious and just moments from the ski slopes of Morzine, Chalet des Montagnes is a superb mountain hideaway where you can enjoy magnificent views, crisp alpine air and hours of al fresco hot tub fun. Simply wonderful. 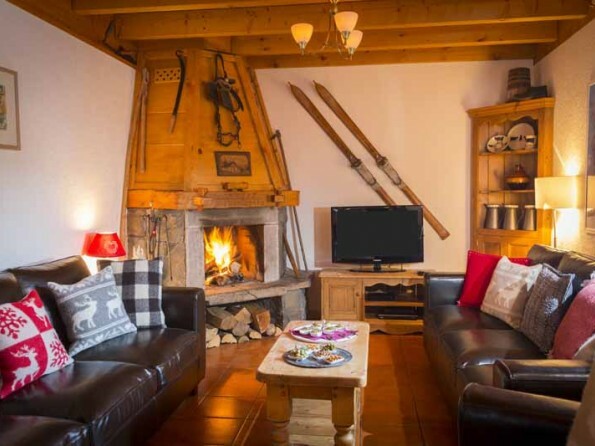 With its numerous en-suite bedrooms, cosy log fires, heated terrace, tempting outdoor hot tub, abundant mod cons and on-site catering, Chalet des Montagnes is the perfect setting for an unforgettable mountain holiday with cherished family and friends. 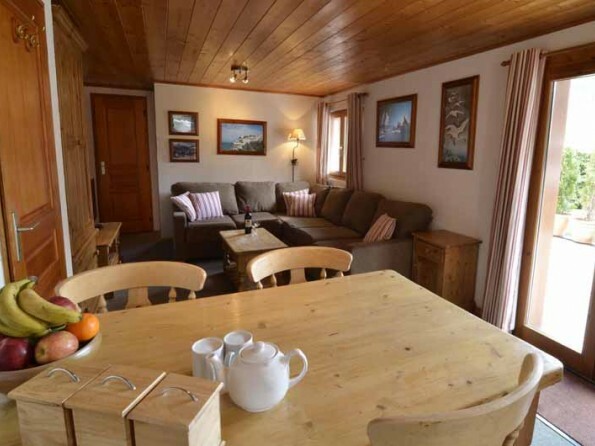 The chalet itself has everything you could possibly need from the basics to the luxuries, the balcony affords exceptional picture postcard views across Morzine and up towards the distant lights of Avoriaz, and within moments you can be either on the slopes or in the heart of the village. 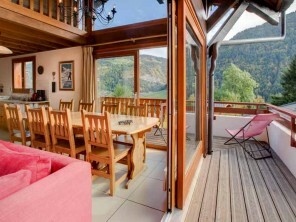 If you’re looking for a private chalet that offers both style and substance then you’ve found it. 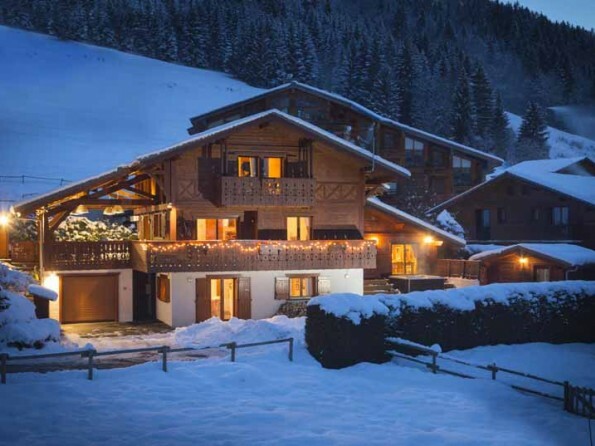 The chalet is set in a peaceful upmarket residential area and, snow conditions permitting, it is possible to ski-in/ski-out to within just 35 metres of the front door. 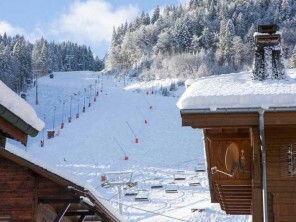 The main Morzine Pleney lift and the village centre are both an easy 10 minute walk and the Super Morzine lift is a little further (although a shuttle bus can be provided). 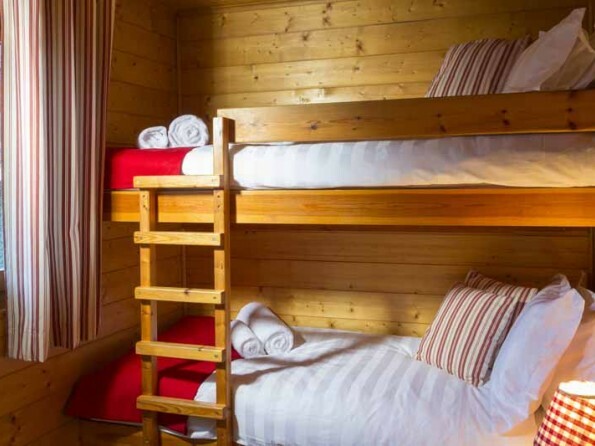 Naturally, skiing is a big draw, but there are infinite summer activities available too, from walking, biking, climbing and horse riding to golf, paragliding, kayaking and white water rafting. Whatever the weather, the possibilities are endless. 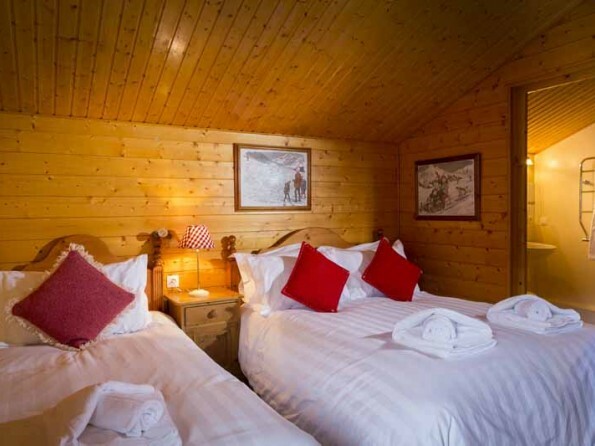 There are eight en-suite bedrooms in the main chalet which sleep a maximum of 20 guests, and there are a further two bedrooms in the downstairs apartment if required. 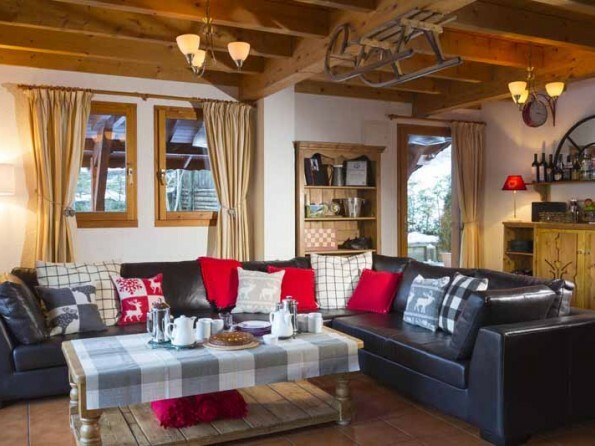 The open-plan living area has a feature log fireplace, ample seating, a well-stocked honesty bar, a TV/DVD player, a wireless music system and a selection of books, films and board games, and there is a separate ‘Shackleton’ themed dining room where you can entertain in style and comfort. 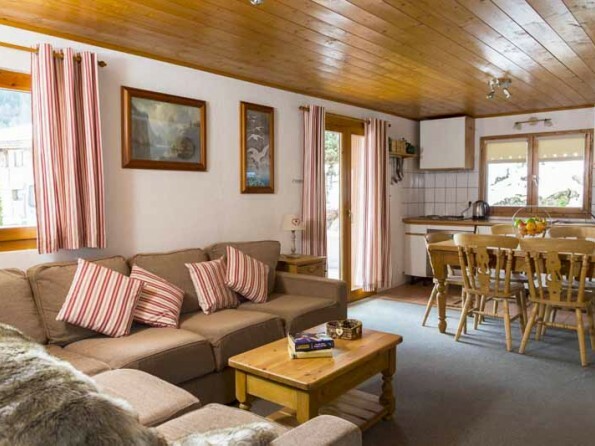 There is also a ski store and a drying room with heated boot warmers. 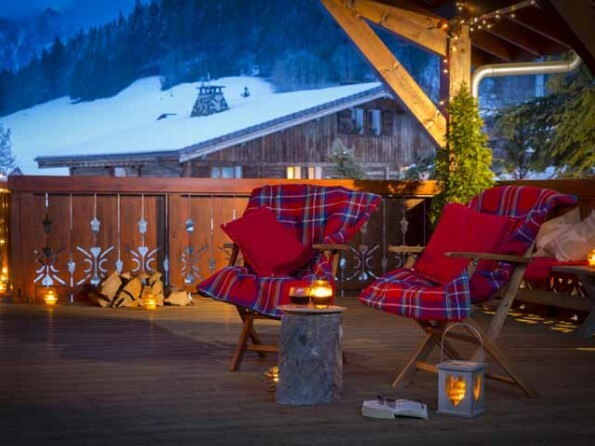 The lounge area opens onto a fantastic covered and heated terrace, with a balcony that sweeps around the whole front of the chalet. 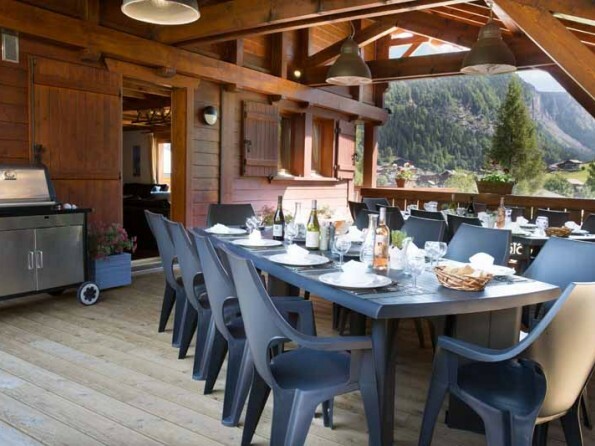 And French doors in the dining room lead to a further terrace with a large hot tub as well as to the chalet’s gardens and grounds (the plot is 1,000m2 overall). 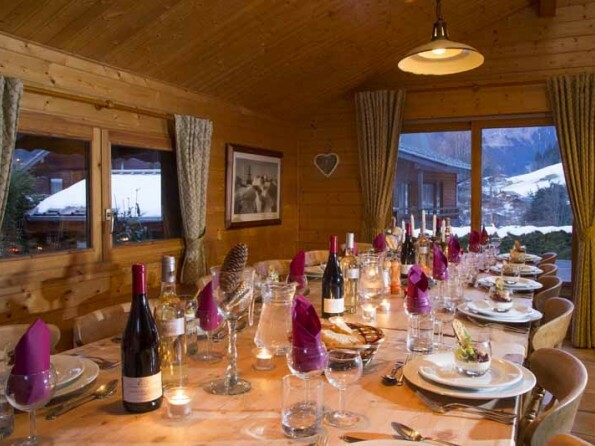 The chalet is catered (half-board) and there are 4 staff who live out (a chef, 2 hosts and a coordinator/driver). 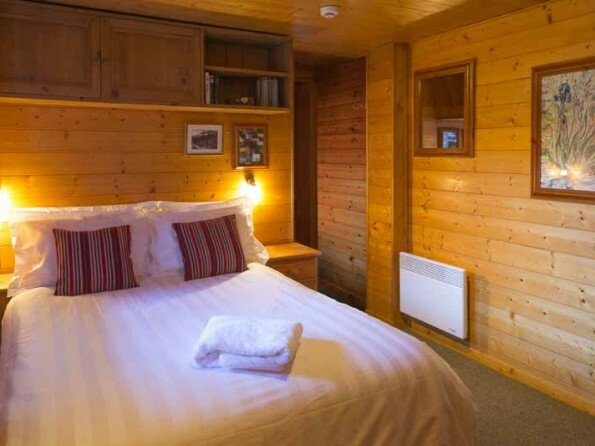 Bookings usually run from Sunday to Sunday but short breaks may be available.